Apples are high in Vitamin C, and it’s been shown that eating them regularly can help to reduce levels of harmful cholesterol in the body. Children like them, although they often prefer them cut into pieces, rather than whole. But apples deserve to be used in far more ways, than just as a sweet, juicy snack. If you’ve never tried cooking with them, or using them in salads, start now, with these easy healthy apple recipes. Crisp, juicy apples are available all year round. Whether it is yellow, red or green, there are well over 20 different varieties of apples, which makes for a lot of apple recipes throughout the world!! This recipe have collected from one food magazine. I wanted to make something nice, but not intimidating fancy. 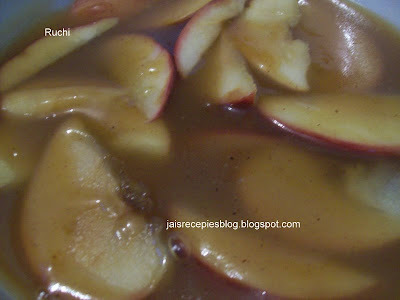 The fried apples is the one I want to try first time I tried this recepie.. turn out excellent. Serve these fried apples with breakfast. Scrumptious! 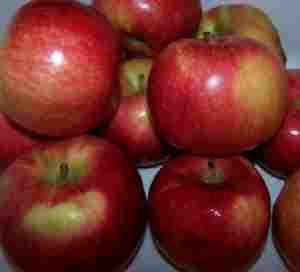 Sprinkle lemon juice over the apples as you cut them to prevent browning. In a large skillet, combine the apple juice and sliced apples. Cook until apples are fork tender, but not mushy. 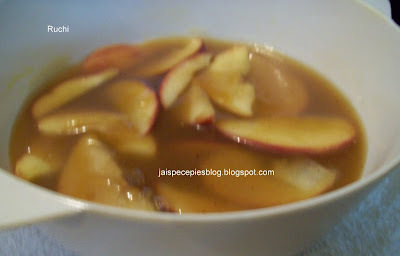 Remove apples from juice with slotted spoon and place in large bowl. In another bowl, combine all dry ingredients and stir with wire whisk until well blended. 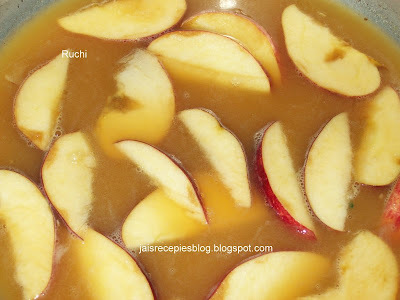 Pour hot apple juice into dry mixture. Whisk vigorously until lumps are gone. Pour this mixture back into the skillet and heat on medium heat, whisking constantly, until bubbly and thick. Remove from heat and pour over apples in bowl. Stir until apples are evenly coated. I am glad to receive this splendid 'Inspiration Award' from Vidas,Malar Viki Xavier,SumaRajesh . Suma shared with me so many awards, Thank you suma, Iam honoured dear.Thank you so much to all of you. You all inspire me so much with your hard work and recipes, to start with. I feel so happy, excited and honoured to receive this from you all. It means a lot to me. Once again thankyou all for your love. I would like to share the same with my fellow blogger friends.. Vidya, Sripriya, sagari, Usha, Yasmeen,Gita,Raaji , Rajeswari vijayanand, Plantain leaf.